The Chiprovtsi monastery lies in the valley of the Chiprovska Ogosta river, at the foot of the Yazova mountain (a part of the Western Balkan mountain range), about 4km to the northeast of the town of Chprovtsi, famous for its carpet-waving industry. The Chiprovtsi monastery, named St. John of Rila, has its origins in the 10th century AC and is one of the 30 monasteries that were built during the very first Bulgarian state that strengthened the position of Christianity and helped the deed of Cyril and Metodius who introduced the cyrillic alphabet in the country. 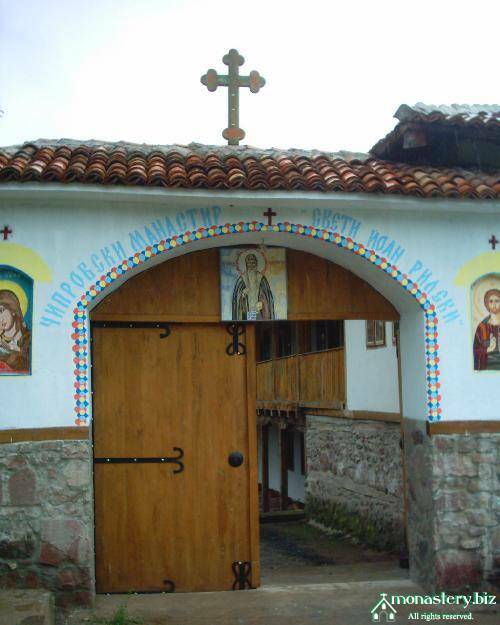 For 9 centuries, the Chiprovtsi monastery had acted as a cultural and educational centre. It survived the Madyar invasion in the 13th century, the fall under Ottoman rule in the 14th century and the raids of Mihail Hrabri in the 15th century. It served as a main shelter and also as a focal point in the uprisings of Konstantin Fruzhin in the 15th century and of the Chiprovtsi inhabitants in the 17th century. The monastery was raided and robbed more than once, and was also partially destroyed and then reconstructed with the financial support of welathy Bulgarians six times in a row during the 19th century.